We have planned and executed countless professional events. With a history of this we have no choice but to document the appeal, success and ongoing support and insight we receive from alumni and other professionals. 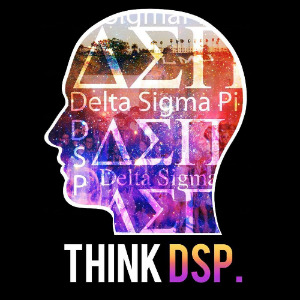 You can follow our podcast found on iTunes under the name of Delta Sigma Pi - LMU for updates, business insight from our alumni and interviews with other successful professionals. There is much more to come so stay tuned. For right now though, check out our most recent post of "Know Yourself" by Drake (DSP edition). It's that time of the year again... No not Christmas. Fall recruitment for America's foremost co-ed professional business fraternity, Delta Sigma Pi! Come out to our first event, "Meet The Chapter" on September 14th at 7:30pm in Malone 112. We look forward to meeting you then. I know the anticipation is killing you so in the meantime like and share this to let your friends know what's to come.